In today's tech-heavy world, most people rely on electronic devices such as smartphones and tablets for everyday reminders of appointments they have to go to, meetings they have to attend and tasks they have to do. While using technology for reminders is convenient, it is not foolproof. That's why it can be beneficial to still do reminders the old fashioned way by using sticky notes. Sticky notes can help you in your everyday life in a variety of ways. One of those is by specifically making you remember what your to-do list is each day. When you can put events into an electronic calendar days or even weeks in advance, it can make it easy to forget about them. For example, when you put an important meeting in your calendar a week ahead of time, you may forget all about it until your hourly reminder pops up on your phone. On the other hand, having to sit down and do a sticky note reminder the night before will get you thinking about the meeting many hours ahead of time, which can be beneficial when it comes to planning ahead. A sticky note on bright yellow, green or some other color of paper is hard to miss. Electronic reminders on a phone or computer are very easy to dismiss and forget about, which means you could fail to perform a necessary task or miss an important meeting. However, when you have a bright sticky note stuck to your computer at work or your refrigerator at home, it's something that will be constantly in your field of intuition and hard to forget about or miss. 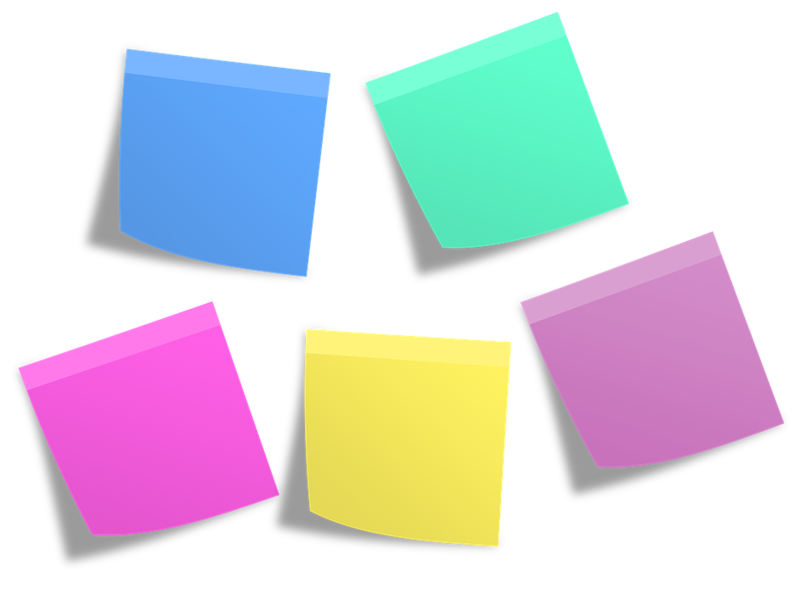 Sticky notes are old fashioned, low tech and take a lot more work than electronic reminders. But they have some clear benefits that make them worth considering.